Ostatni już starter z serii Vrains, a w nim co? 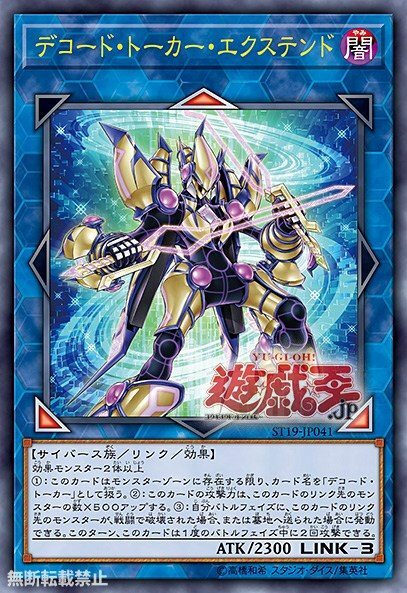 Jak widać na okładce główną kartę będzie wersja Extended znanego nam z pierwszego starter Vrains Decode Talker! 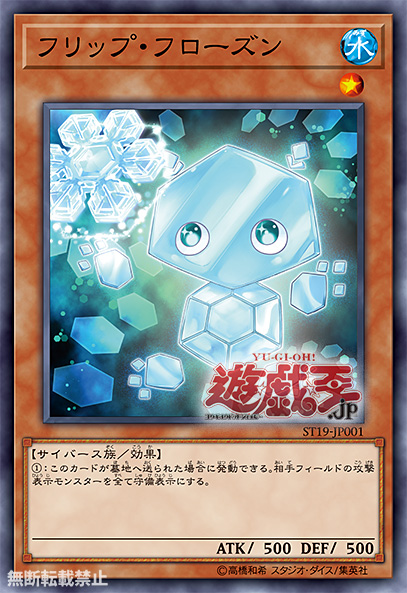 (1) If this card is sent to the GY: You can change all Attack Position monsters your opponent controls to Defense Position. 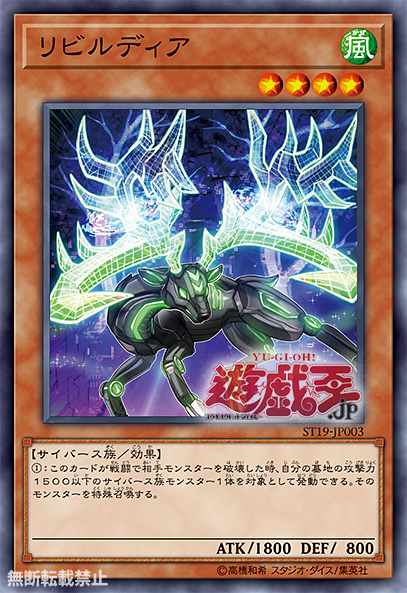 (1) Once per turn, when a Cyberse monster you control declares an attack: You can discard 1 monster; the attacking monster gains 600 ATK until the end of this turn. (1) When this card destroys an opponent’s monster by battle: You can target 1 Cyberse monster with 1500 or less ATK in your GY; Special Summon that monster. 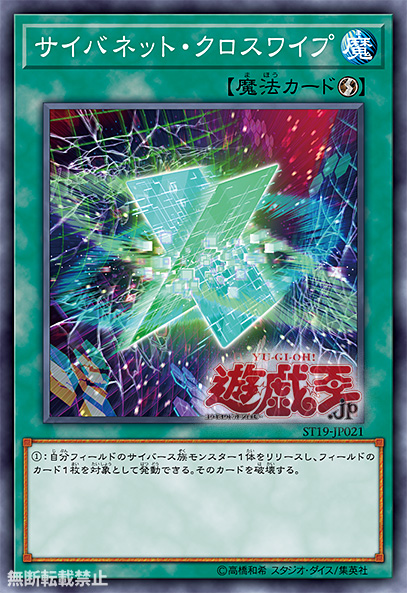 (1) If you control no monsters, you can Special Summon this card (from your hand) by discarding 1 Cyberse monster. 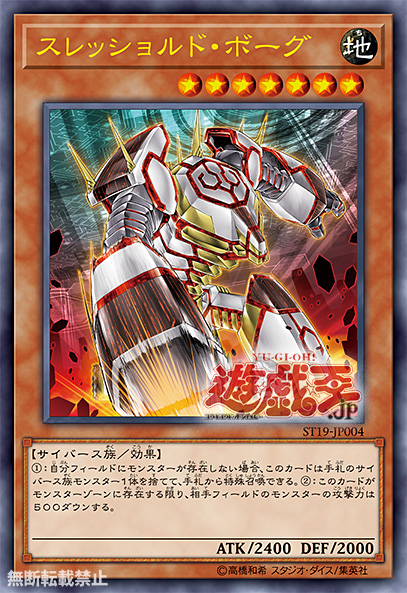 (2) Monsters your opponent controls lose 500 ATK. 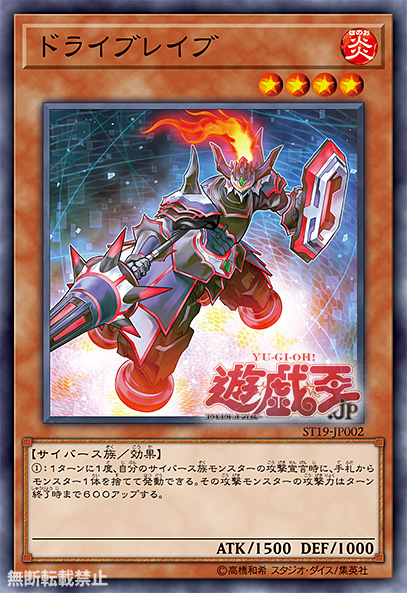 (1) Tribute 1 Cyberse monster, then target 1 card on the field; destroy that card. 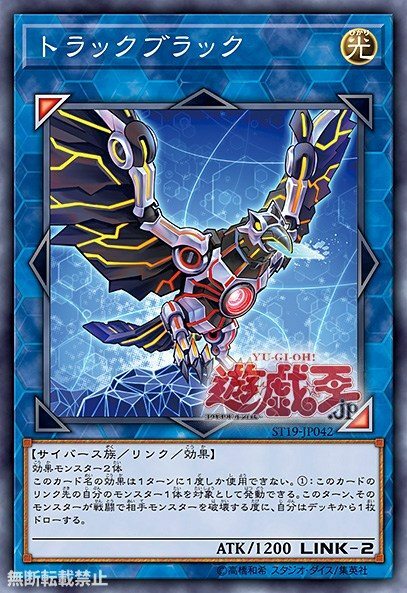 (1) If you Link Summon a Link Monster: Target 1 monster in your GY that was used as Link Material for that Summon; Special Summon it.